Start off your visit on the 14th (Mon): kick back and relax at Little Beach. To find where to stay, other places to visit, reviews, and tourist information, read Albany vacation builder tool . Sydney to Albany is an approximately 9-hour flight. You can also do a combination of flight, train, and bus; or drive. You'll gain 2 hours traveling from Sydney to Albany due to the time zone difference. Plan for a bit cooler temperatures traveling from Sydney in January, with highs in Albany at 29°C and lows at 16°C. Wrap up your sightseeing on the 15th (Tue) early enough to travel to Perth. Kick off your visit on the 16th (Wed): contemplate the waterfront views at Swan River, then steep yourself in history at The Perth Mint, and then take in nature's colorful creations at Kings Park & Botanic Garden. Here are some ideas for day two: pause for some photo ops at Kings Park War Memorial, then enjoy the sand and surf at Cottesloe Beach, then steep yourself in history at Fremantle Prison, and finally have some family-friendly fun at Elizabeth Quay Carousel. 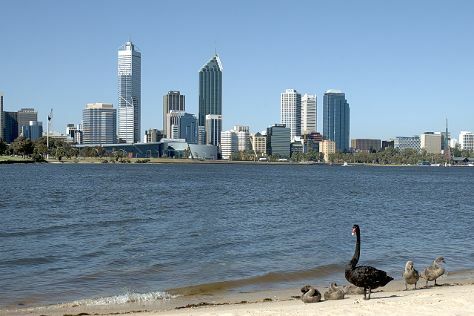 To find ratings, where to stay, reviews, and more tourist information, refer to the Perth online tour itinerary planner . Traveling by flight from Albany to Perth takes 3.5 hours. Alternatively, you can drive; or take a bus. 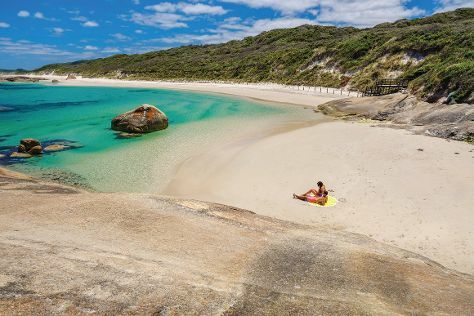 Prepare for a bit warmer weather when traveling from Albany in January: high temperatures in Perth hover around 38°C and lows are around 20°C. On the 18th (Fri), wrap the sightseeing up by early afternoon so you can travel back home.